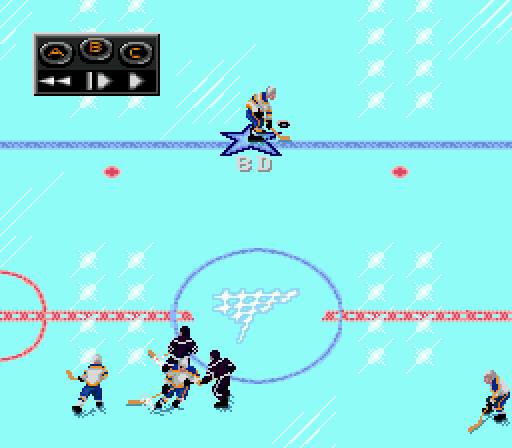 Attached are four pics showing examples of how I've changed the referenced palette used by the NHL94 team rink logos. 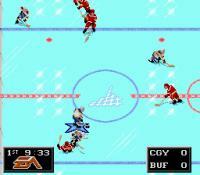 Typically, the colors of the rink logo are dictated by loaded home team's strip palette colors. 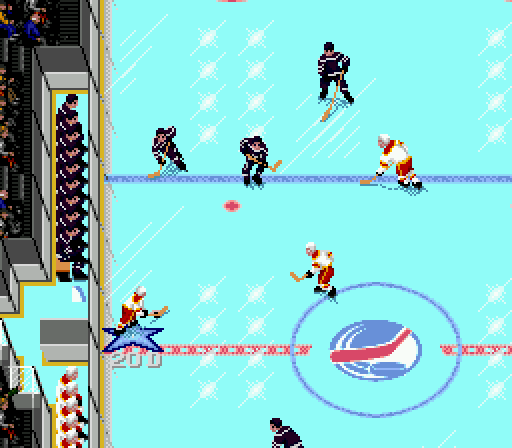 In the event you simply wished to use one logo for an entire rom which uses either the same colors as used by the rink (or alternatively, the crowd) its technically now possible (well, when I spill the beans about how its done). 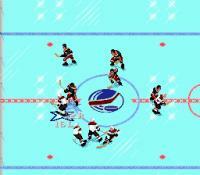 The Torino 2006 olympic example uses the same palette as the rink. The wboy example uses the crowd palette. I've included the "reverse angle replay" shots as that particular tile layout data also needs to be changed to have the logo works properly in reverse angle replay mode. As its late I won't go into how its all done just right now, but if there is interest in using such a hack, yell out and I'll gather and post all the info soon. When you have time, wboy could you have Evan post it on his site or you can post it on your hexaddicts site. I need to know how the add the NCAA logo as the ice logo for all the teams in my NCAA Hockey 2006 rom, am planning on releasing soon. Ummmm, is there anything wrong with posting the information in this thread? Any chance this might be added to the new NOSE??? Still having issues getting Tile Molester running on your PC? lol..yeh.... couldnt figure it out....not a huge problem cus it works at school, however, it be cool if it could be used in all one program. Sorry to bump a 13 (!) year old thread, but would anyone happen to have any info on how to do this? Putting the finishing touches on a 2019 WJC rom and would like to use the same center ice logo for all teams. 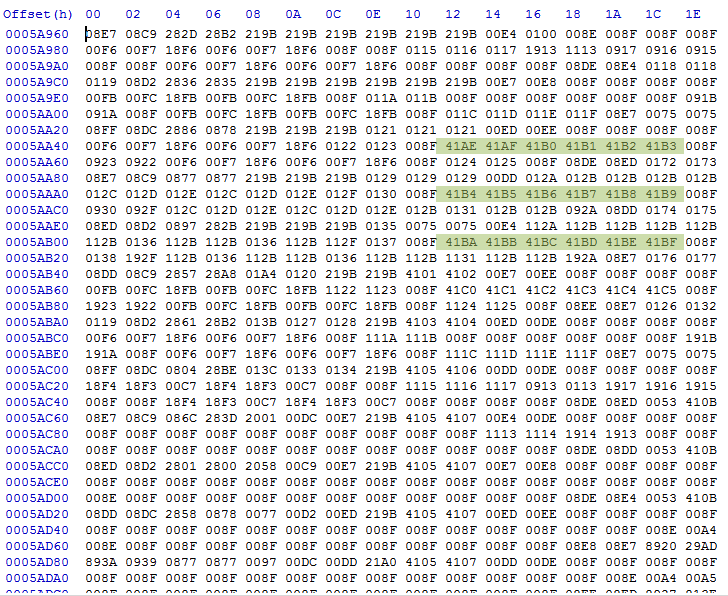 The first digit of the tile layout is the pallete reference (1 of 4 loaded at any time during the game). 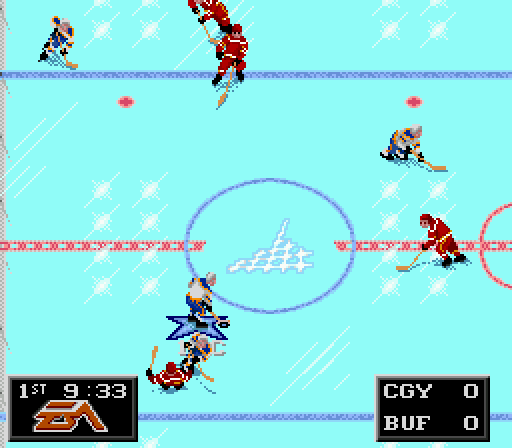 Pretty sure changing that on the center ice rink image tile layout would do the trick. 0 is palette 1, 2 is palette 2, 4 is pallete 3 and 6 is pallete 4 I believe. It's late....if this doesn't make sense I can explain in more detail and reference another time. 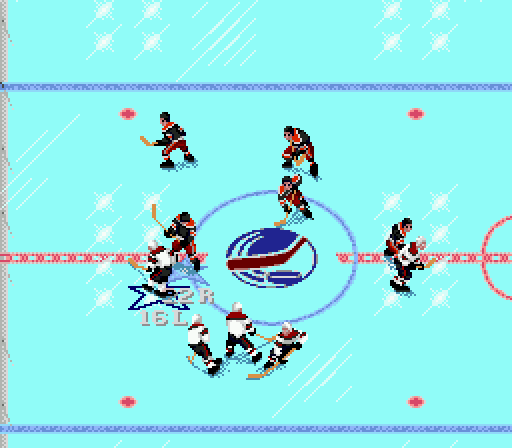 First, there is a useful thread from the almighty hacking GOD named @wboy that provides the tile layout for the rink and lots of other useful info. The palettes are in order from 1-4. 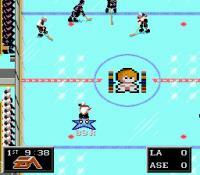 This particular game was using Anaheim Logo and palette, shown below. 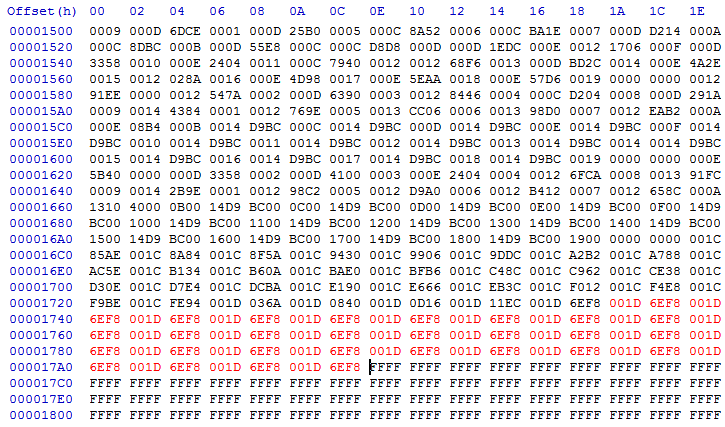 Change 41AE, 41AF...to 21AE, 21AF, etc. 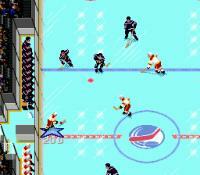 Again, I found the location from the rink layout referenced in the other thread. Now, whatever logo you have in the Anaheim slot will be used for all 30 teams.